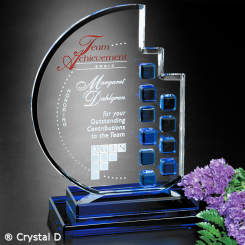 Select the beautiful square Heritage Award with its blue accented sides. 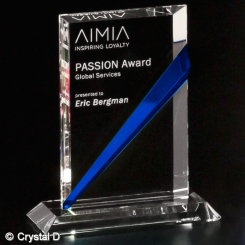 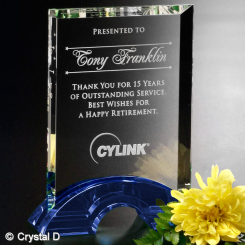 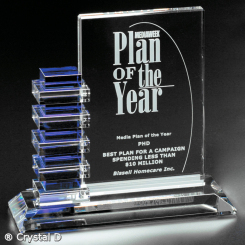 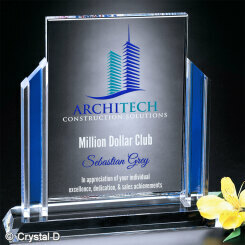 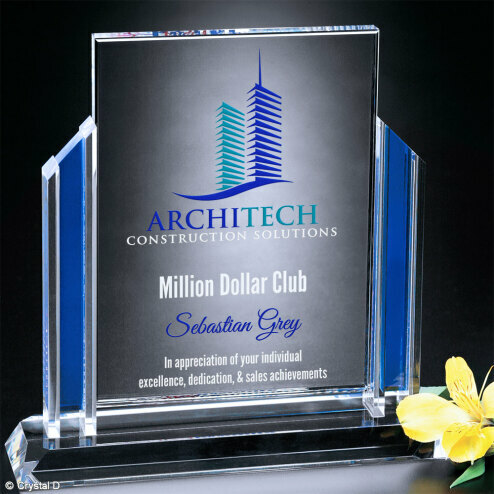 Reward loyalty and integrity with this magnificent award. 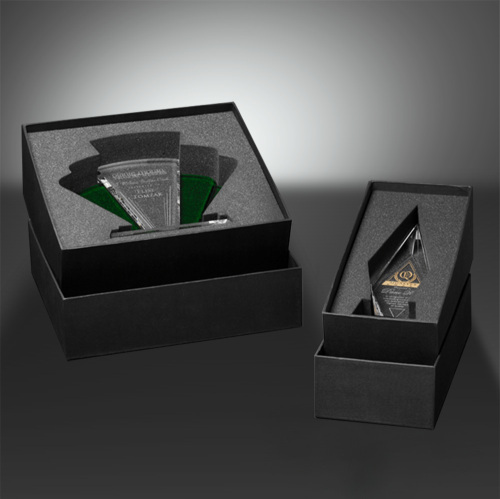 Gift Box: 10.20" x 10.40" x 4.40"